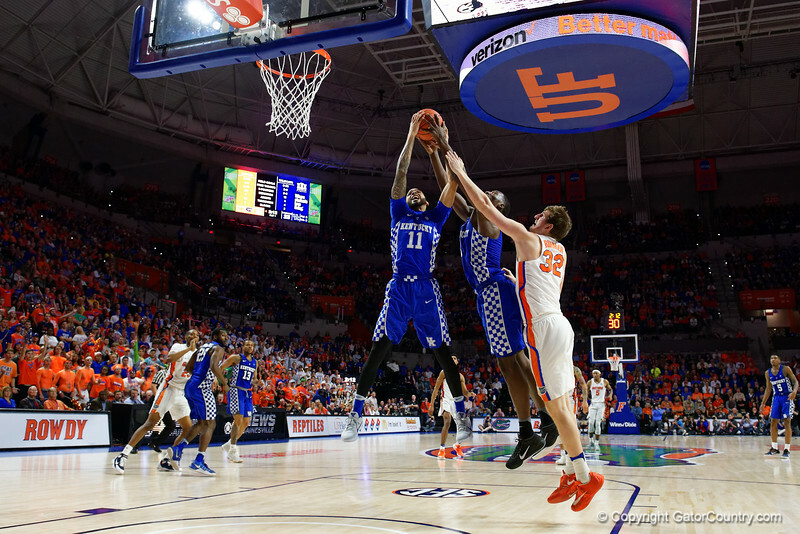 Univeristy of Kentucky Wildcats guard Mychal Mulder leaps over Univeristy of Florida Gators center Schuyler Rimmer for a rebound during the first half as the Gators defeat SEC East rival, the Kentucky Wildcats at Exactech Arena at the Stephen C. O'Connell Center in Gainesville, Florida. February 4th, 2016. Gator Country photo by David Bowie.